Running uses loads of calories and is an excellent supplement for controlling weight. But it has its downsides. It’s tough and when you start out it may hurt. As you get older you more easily become the victim of injuries. They often take a long time to heal, or even worse, become chronic. But done sensibly, starting with walking, then to jogging and then if you’re up to it, running. It’s possible for almost everyone. In time it becomes easier and more enjoyable. The immediate benefit is that it enhances your overall well-being. This is not a fast track approach to losing weight. Weight is not going to drop off overnight. You won’t lose 5 kilo’s in a week! But it can become a part of your holistic healthy lifestyle. If you start out with realistic expectations you won’t become one of the many quitters. One of those who start off with lofty goals and after a few weeks are back on the couch. Or one of the others who try to do too much too quickly, get injured and give up. When starting out it is important to be sober about your current level of fitness and general well-being. in many cases, it’s advisable to start walking and then over time include short periods of jogging into these walking sessions. Whatever you do a good starting point is 30 minutes every second day. 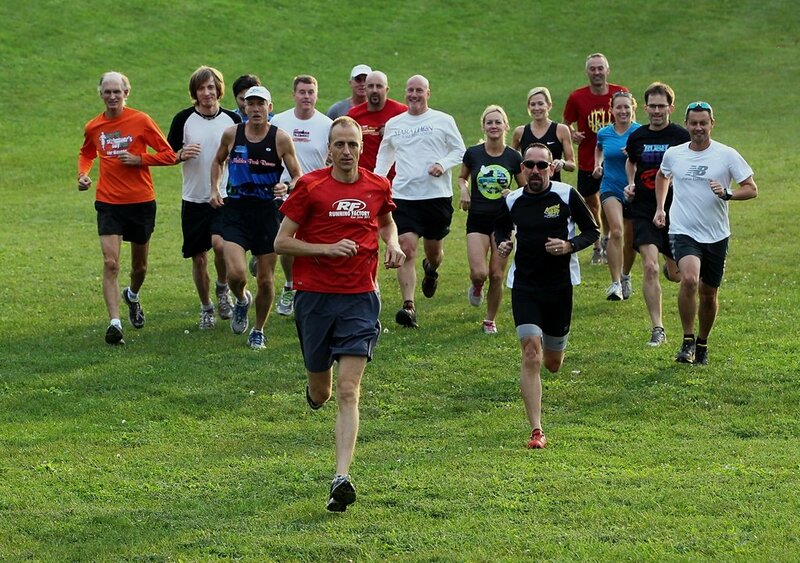 The golden rule is: don’t increase either speed or distance by more than 10% per week. When ignoring this rule even experienced athletes are susceptible to injuries. Running is not easy (does it ever get easy?) when you’re starting out. But after building a “road hardened” base in your legs it’s one of the most liberating and enjoyable forms of exercise. It can be done anywhere, at any time and all that’s required is a pair of running shoes. Although today even the shoes may be more than you need if you follow the growing ‘minimalistic running’ movement. They claim that running barefoot is best. Barefoot running has a growing group of supporters who believe that inappropriate shoes and running styles cause many running injuries. So people are going “primal”. If you live in a place where this can be done then, try it. It needs some toughening up but makes one feel like a kid again. When deciding to start running for weight loss you need to make a plan. Where am I now? Where do I want to get to? How will I achieve it? Buying a paid subscription to Endomondo, Strava, Runtastic or any of the other available fitness apps. It’s a great motivation having a friend as an exercise partner. This ensures (or at least makes you feel guilty when you do!) that you both don’t miss sessions. As cycles of motivation are often different – when you want to miss a session they don’t and when they want to miss a session you don’t. Another excellent motivation is to set an objective of participating in a race in the future. If you think your resolve might dissolve then tell everybody that you’re going to do it. Then make an additional commitment by taking a few wagers! So how many calories will running burn? Based on a very rough estimate (it depends on your weight, speed and fitness) running burns about 600 calories an hour while walking at a brisk pace burns about 300 calories an hour. It requires about 3 500 calories to burn a pound of fat. So you can easily calculate that to lose a pound of fat you will have to run for at about 6 hours or brisk walk for about 12 hours. If you’re interested you can get more details here of calories you’ll burn for various activities. So walking/jogging/running will be just one element of your slow and steady lifestyle changing weight loss plan. 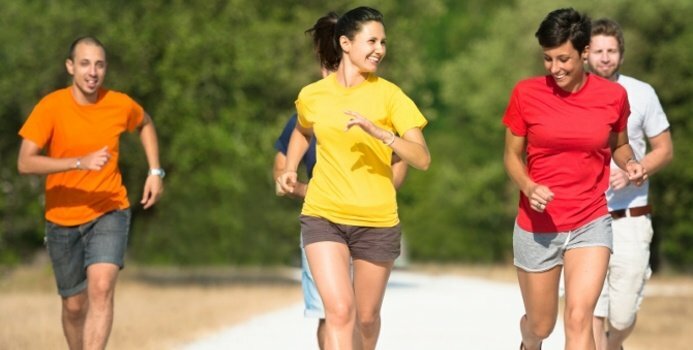 Running to lose weight can be fun, social and enjoyable. It is something the whole family can do and always remember we were ‘born to run’.